From 'what is a popup' to 'are popups cost-effective', here’s a list of the top 7 most common questions our customers ask us about popups. 1. Are popups and popovers the same thing? Popup, popover, modal, light-box, banner… all of these UI components are containers or windows that show on top of the content a website visitor is viewing or interacting with. The different names are based on the attention they deserve, the context you’re in, and how you can interact with them. For ease of reading we will refer to them as popups in this blog. 2. What is the main purpose of a popup? The overall goal of a popup is to ask your website visitors to take certain action. This action might be an announcement or sale you want to the visitor to know about, but more often than not, it’s to collect email addresses. 3. Should I use a popup on my website? The answer is often Yes! Even though there is a lot of negativity surrounding popups, when popups are implemented correctly they are a great way to grow your emails lists while countering list attrition. Popups have a reputation for being annoying, intrusive and random, and if badly positioned or not able to be closed easily, they could actually affect your website’s bounce rate. However, if you select the right platform and follow SEO best practices to build a popup that integrates seamlessly with your website, you can more than triple your visitors’s engagement rates. If you are already using popups on your website, we can review your overall strategy and recommend improvements. Schedule a free consultation with one of our website experts. 4. What are popup SEO best practices? Don’t trigger your popup on the first page load from search engines. If you are not able to control page load triggers, consider displaying a banner on the top or bottom of the browser window, and use delayed triggers, action based triggers, CTA click or exit intent to control timing. Additionally, the popup must be able to be closed easily and not restrict the visitor from the content. Design different popups for desktop and mobile to offer a user-friendly experience on both mediums, and segment based on traffic source. For example, traffic from a marketing email should receive different messaging than a first time visitor from Facebook. 5. Does Google penalise intrusive popups? Back in January of 2017, Google updated their policies regarding mobile popups, overlays, and interstitials to bring about a better mobile search experience. The mobile browsing experience is completely different therefore requires different design and a different user experience. Since Google seems to be taking a similar approach to the desktop search experience, you should always follow SEO best practices when designing popups both on desktop and mobile. 6. How do I optimise my popup conversion rate? 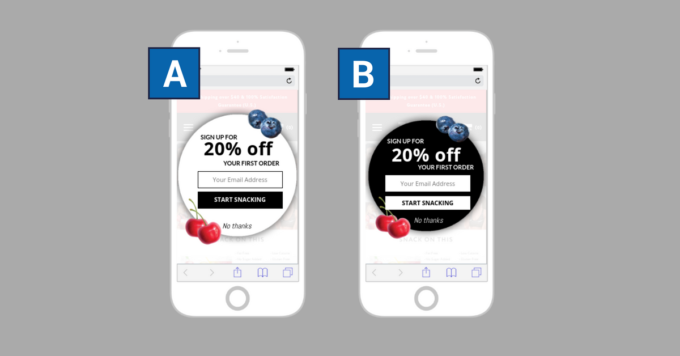 A/B or multivariate testing is a must when optimising your popup conversion rates. 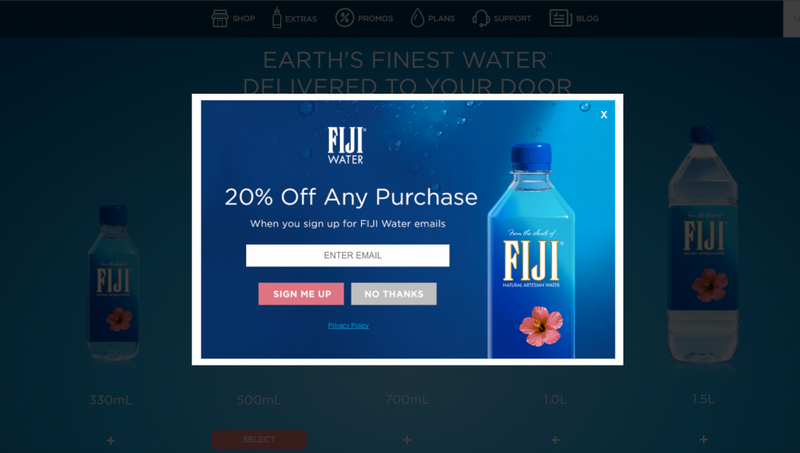 By running a test, you can tweak the details of your popup in order to incrementally improve its effectiveness. This allows you to provide a better experience for your customers, while also improving your bottom line. 7. 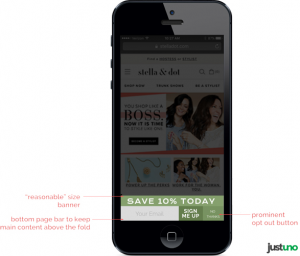 How do popups compare to other list building strategies in terms of ROI? 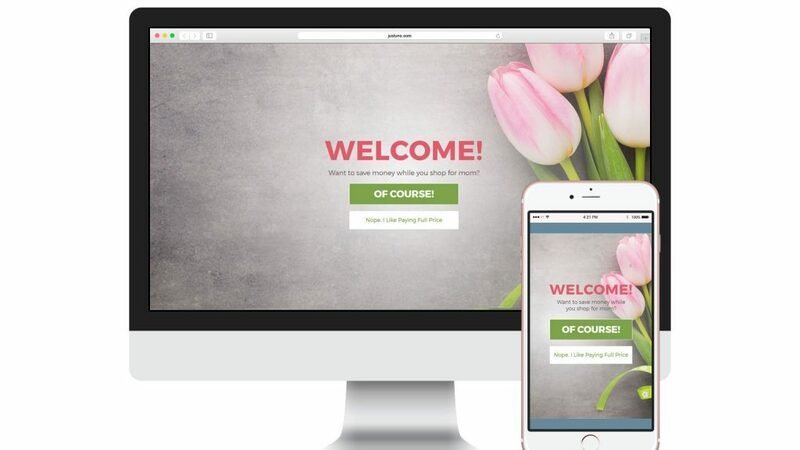 In our experience effective popups have some of the best ROI when it comes to growing your email list and countering the effects of attrition. They generally come second to periodic list growth campaigns but this is generally due to the shorter length of list growth campaigns and larger budgets. If you need help choosing a platform or you would like us to review your overall strategy to recommend improvements, schedule a free consultation with one of our website experts.